Aren’t these green beans destroyed by the Mexican bean beetle some of the ugliest beans you ever did see? Who’s going to want to eat those? It’s a nightmare to snap around the scabs and get a pretty plate of veggies. It’s not that there’s anything wrong with them per se or that you can’t eat them, it’s just that who wants to lift a forkful of food to their mouth with blatant evidence that someone else dined on your dinner first? 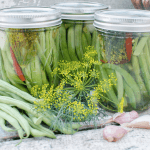 And if they’re going to whine about scabby beans, that means that I’ve wasted a whole lot of time and energy growing and cooking beans for the last 3-4 months + 10 minutes. So who’s been eating our dinner? That’s the question. And it doesn’t take much detective work to discover the answer. The pest, in this case, doesn’t cover his tracks well… or at all, so identification is a breeze. What we have here is the handiwork of a Mexican Bean Beetle. The adult phase looks very much like a copper-colored ladybug, but please refrain from feeling excited that you have welcomed that most beneficial, red-cloaked beauty into your garden. This chap is an impostor. 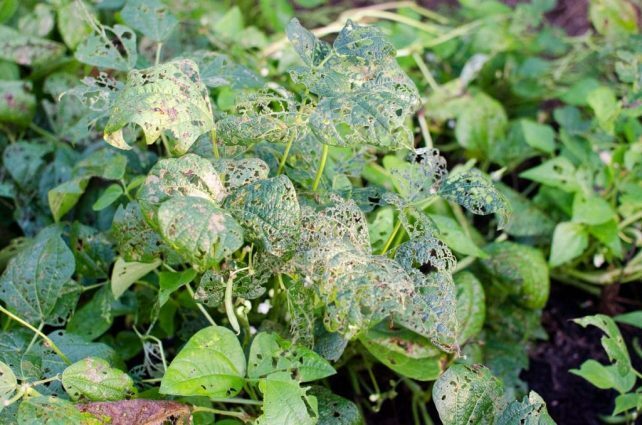 Besides scabby, pock-marked beans, Mexican bean beetles will also rapidly defoliate your bean plant’s leaves. They start young and devour the leaf even as larvae. Mexican Bean Beetle Larvae. Eating their way away from their egg shells… notice the translucent leaf skeleton. Large Mexican Bean Beetle Larvae. Their exoskeleton is actually clear. Squish them and you’ll notice that it’s their guts that are yellow. So What Is a Mexican Bean Beetle? These deeply hated insects have a story of their own. 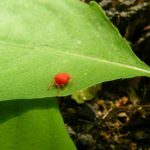 Mexican bean beetles are part of a family called “ladybug beetles.” Ironically, ladybugs are beneficial and spend their time feeding on aphids. But their devious cousin, the Mexican Bean Beetle is a pest who destroys. The other name for this insect is Epilachna varivestis Mulsant, which sounds much more ominous and therefore is more fitting. This species is known for going after bean plants specifically, and mainly those in the legume family. These insects are Mexican natives, as you can imagine from their name, but they are also prevalent in the US, especially in the West. They tend to hang out any place that has beans. When they are done away with in areas, they seem to come back. This was the case in Florida in the early 1900s. They were eradicated, but then a few years later turned up again. If we had to describe exactly what these bugs looked like, we would have to go through their full stages of life. As eggs, they are tiny and yellowish orange colored. You can find these little buggers in groups, under the leaves of beans. As larva, the peskiest form of all, these recently hatched bugs are a full yellow and they have strange branch shaped antennas covering their entire body. These spikes get darker and darker as time goes by. The tips can even become green as they molt. The next stage is pupa, which is when the larva is matured. At this stage of life, this beetle is all up in the plants. It attaches to all parts of the bean plants and other plants close to it. As a pupa, it is still a spineless yellow thing, but it is getting closer to adulthood. Lastly, we have adulthood for the Mexican Bean Beetle! The best way to describe this bug as an adult is by telling you it looks very similar to a ladybug. They are now a lighter yellow and have black spots covering the body. As they get deeper into adulthood, they get more orange and brownish. Interestingly, the males are actually smaller than the females, which is a rare case in nature. Mexican bean beetles stay on bean leaves in the winter, as I mention later on, and they thrive as soon as it gets warm. Spring and summer are their times to shine. When they lay eggs, it is in excess. After only about two weeks of destroying your bean plants, they can lay as many as 75 batches of 600 eggs. You only have a week to get ahold of them before they begin to hatch. In the winter, they are less excited to hatch, and it may take them two weeks. But the sooner you can destroy the eggs, the better. It will save you from a full-blown infestation because once these eggs hatch, your beans are done for. They will all be feeding on your plants together. If you were thinking of more reasons to hate them, consider this: the hatched eggs will eat the unhatched batches of eggs if your plants are not enough for them to devour. 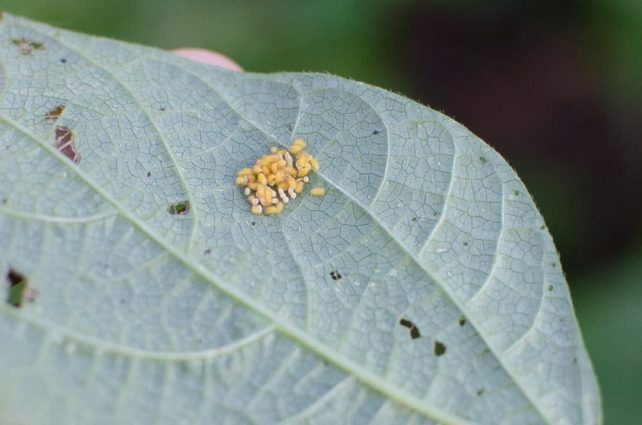 These insects can do a considerable amount of damage to your bean plants as both larval and adults. The worst amount of damage on the plant is done to the leaves. And the worst stage of their life cycle is the larvae stage. 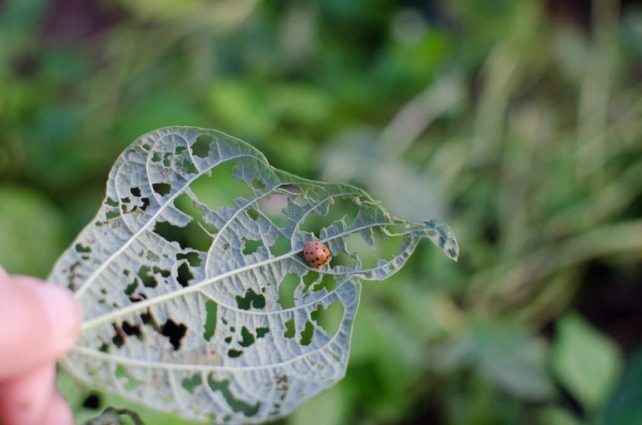 The way they eat up your leaves is by eating the lower part of the leaf, and then the upper part naturally dries out, and it leaves your plants with the appearance of a skeleton. 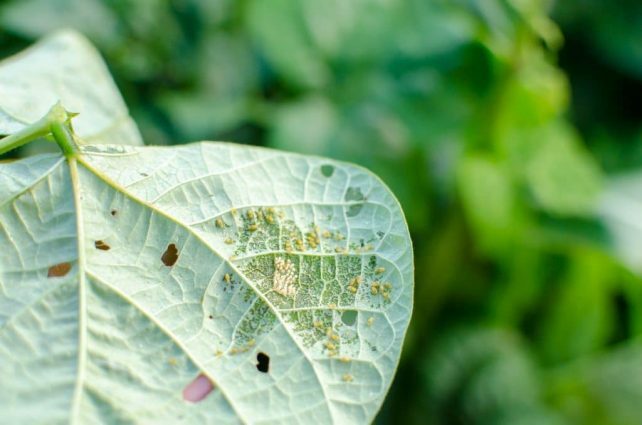 Having these bugs on your plants can ultimately destroy the whole crop. As many pesky things in nature, the bean beetle does not seem to have a beneficial purpose. But this insect is not just an everyday pest; it is considered one of the most destructive pests in the US. Their main aim is the same as every other being, to reproduce and leave its mark through kin. They are here to do their duty in the circle of life as seed consumers, specifically, and live as the antagonist in our happy garden tales. What Do Mexican Bean Beetles Eat? Where Do Mexican Bean Beetles They Live? These beetles are from Southern Mexico, but they are ironically not a massive issue in there. They tend to enjoy living in the US mainly. Mexican bean beetles will go anywhere what they live on is present in large amounts, but they are known to populate certain areas more than others. In the US, they are found west of the Rockies as well as in the Eastern part of the nation. They tend to like wet areas much more than dry. 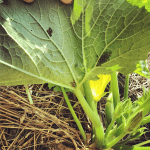 So now that we have successfully identified our pest in the bean patch, what’s a “Beyond-Organic” gardener to do? Since we know that even organic pesticides kill life indiscriminately, we want to try to use methods of pest control that will not destroy either our pollinators or our biggest ally in the war against the bad bugs, beneficial insects. Here are some various strategies that you can try. 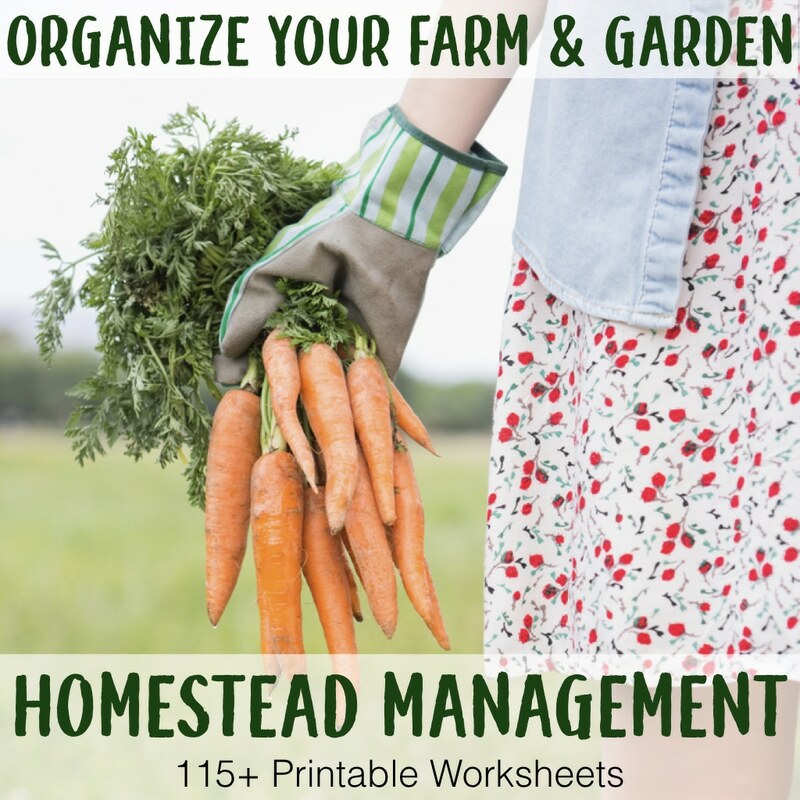 Before you even have a problem in your garden, it’s very wise to practice crop rotation. It’s like tricking the bugs before they have a chance to outnumber you. 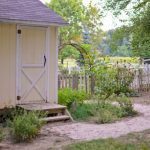 Since many insects, including Mexican bean beetles overwinter in the ground near where they last had a certain food source, moving their favorite treats to another location next year will help to prevent another infestation. 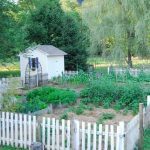 We have gardened here three years and the 2nd year brought with it Mexican bean beetles, but because I rotated my crops, amended my soil, and didn’t space intensively last year, I was able to avoid having ANY Mexican bean beetles in my garden last year! If you had a known problem with Mexican bean beetles last year, and have rotated your crop, you can try using insect netting (stuff like this) to keep them off your beans. When they come out of the ground and go looking for something to eat, they’ll pass right on by because they won’t be able to access your beans. Trap crops are a great way to trick pests into finding somewhere else to cause their destruction. Mexican bean beetles will be attracted to soybeans. Once you see that they have infested the soybean crop, pull it, sack it in trash bags for a week or so, and then burn the crop to kill all the bugs and their eggs. Just make sure you don’t wait until they are into a second generation. It’s best to do this when you first find the bright yellow larvae so that they don’t get a chance to reproduce a 2nd or 3rd time first. One similar method of control would be to grow a different bean variety, one that has a high initial yield, such as Provider. Harvest that crop, which will be around the same time you’ll start noticing a few bean beetles here and there, and then treat them the same way you would a soybean trap crop. 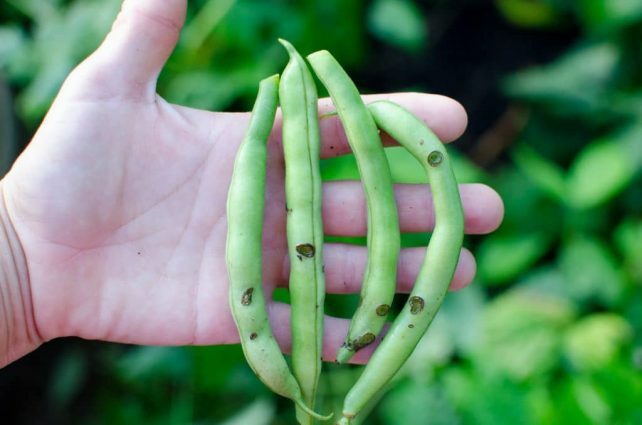 If you didn’t get enough beans to meet your needs, try growing a second succession if you’ll have enough time before your first frost. One of the most beautiful sights to see as you fight this battle is to discover you have an ally that was fighting while you were away. 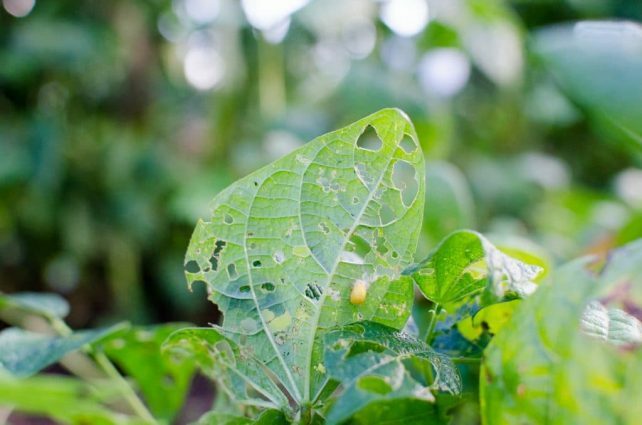 Thankfully, the Mexican Bean Beetle has a couple of predatory insects that will attack it. This summer I discovered what looked very much like my most despised enemy, the squash bug on my green beans. I was surprised to find it there, which was enough to cause my instinct to pause for a moment before squishing it. I’m glad I didn’t because though it looked very much like a squash bug, it was actually a Spined Soldier Bug. (Aptly named, isn’t he?) Later, I spotted one with one of those golden larvae speared on the end of a Spined Soldier Bug’s mouth! Another predator of Mexican bean beetles is the Pediobsus foveolatus parasitic wasp, which you can buy mummies of online. They will parasitize the larvae and stop further generations from breeding and eating. Another great natural alternative to fix your Mexican Bean Beetle problem is by letting your chicken flock have their way with them. Chickens have a track record for feeding on insects of all kinds, even beetles! They are a great solution to getting rid of these insects because they can sift through tall bean plants and find them. You can also have the chickens take care of these pests before you compost, when the beans are pulled. 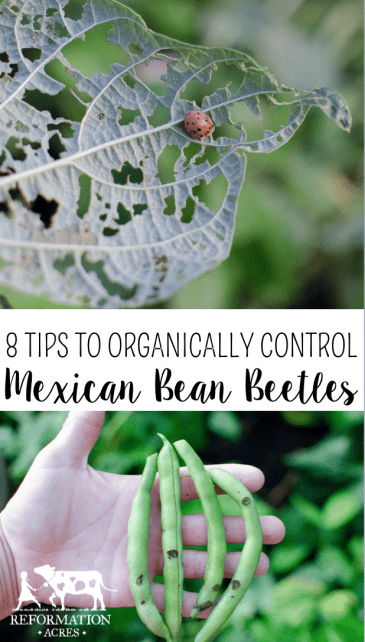 This one is a no-brainer, but Mexican bean beetles and their larvae are super easy to squish. Not stinky, and not explosively gooey. They are easy to squish, even if you’re the squeamish type (raises hand). I wrap the leaf they’re eating on around them and pop their guts out. Try it. It’s victoriously therapeutic. Spray the larvae with Milky Spore which are beneficial bacteria that will kill them. Milky Spore will also attack the Japanese Beetle grubs, the adults of which are also fond of attacking beans. Two for one deal! Unlike pesticides (organic or conventional), neem oil is a spray that you can use on your infested plants that will not kill all insects, including the beneficial ones (if you do it right). 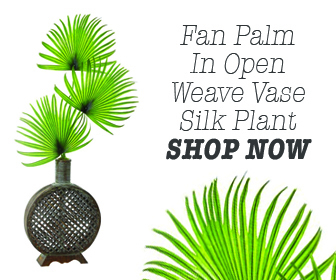 Neem oil will only affect the insects that are eating the leaves you spray it on. Just make sure you only spray during the early morning or late at night when the pollinators are through working. Spraying them directly with neem will kill them. Making sure that neem oil has time to dry first ensures that only the larvae on your beans will be affected when they eat the leaves. 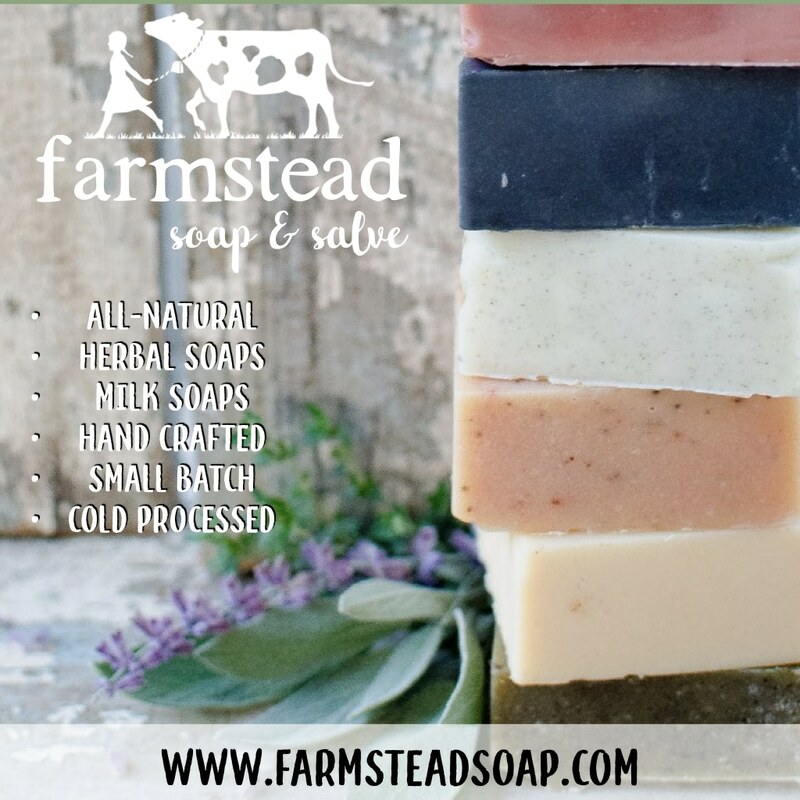 You can buy cold-pressed neem oil HERE. Thankfully, there is hope when you find Mexican bean beetles in your garden! 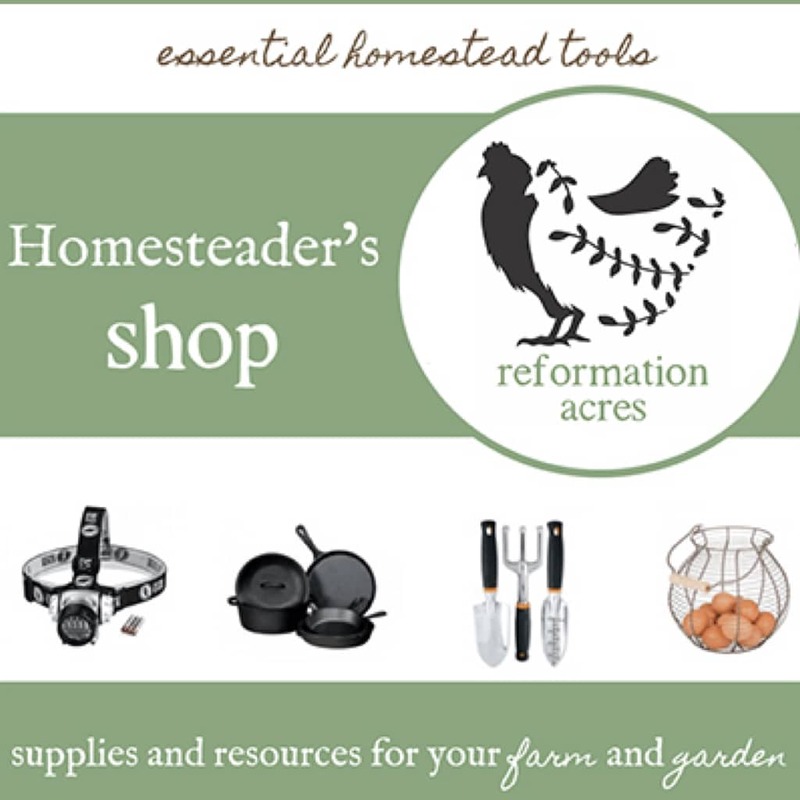 It might be too late for this gardening season, but it’s a comfort knowing that you have the knowledge and resources to beat the enemy next year and bring in a good crop of organic beans to feed your family! What methods of controlling Mexican bean beetles have worked best in your garden?